Are you looking for The best carpet cleaner in Prospect ky? Finding a Reliable Professional carpet cleaningCompany in prospect is very hard, yes we know. You get a lot of flyers, coupons, ads online and more. You have dirty carpets, spots and spills from your kids, last but not least you have some pet accidents, don’t you have these many issues at home. Most of our clients in Prospect have some of these issues in their homes, but their main issues is finding a professional carpet cleaning company they can trust in their home to properly clean their carpet without damaging their floors or stealing something. 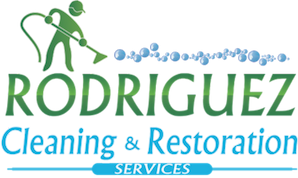 Rodriguez Cleaning Services is well known in Most Prospect areas like Norton Commons, Glen Oaks, Souther land, Hunting Creek, Hill Crest as well as many other areas. Our Company is trusted by many of your neighbors, interior designer, flooring dealers as well as the top real state agencies in the area like Lenihan Sothebys International, Remax and Keller Williams. I Dayron Rodriguez the owner of Rodriguez Cleaning Services open the doors or our company in 2012 with the goals of been the best and most reputable carpet cleaning and area rug cleaning in the city of Prospect Kentucky. Up to this day and many more we still believe on our mission which is to provide you with the most outstanding service experience ever or it’s free. Our Carpet Cleaning technicians take the same pride I do when when we are assisting you with your carpet cleaning needs. Why Rodriguez Cleaning Services to be your carpet cleaning company Prospect? Reputation. Rodriguez Cleaning Services is a 5 stars rated company trusted by most of the flooring dealers, interior designers and realtors in louisville. Our referral partners exclusively refer our company to their clients because they know we will do everything to ensure they are taking care. Education. At Rodriguez Cleaning You will find well educated technician that are IICRC certified which allow us to know and understand the best solutions and application to ensure we clean and offer the best carpet cleaning service you can get in Prospect. Systems. Offering the best Prospect carpet cleaning takes to have access to best equipment and solutions and we do. When you hire Rodriguez Cleaning Services our technicians have steps and procedure they follow to restore the beauty of your carpets and remove those spots as well as pet odors. Experience. Since 2012 we made the decision of been the company that will step up when nobody else will do a job. Been willing to get the work done all the time gave us a lot of experience that take many years to those company that aren’t committed to their clients satisfaction. Guarantee. When you hire Rodriguez Cleaning Services you don’t take any Risk. When want to earn you business with hard work, high quality and dedication. If you are not 100% satisfied with our carpet cleaning Service Prospect, we will rush back to your place and re-clean the area and if you are still unsatisfied we will refund your money. Professional Carpet Cleaning Prospect Kentucky. When you Hire Rodriguez Cleaning Services to be Your Professional and Reliable carpet cleaning in Prospect Do not expect to receive a regular carpet cleaner in your home. We are going to wow you from the time we show up and say good morning. To the time we finish and say Thank you for Letting us bee your Professional Carpet Cleaning Company. Your Prospect KY Carpet Cleaning, Upholstery Cleaning, Tile & Grout Cleaning, Window Cleaning, Gutter Cleaning, Pressure Washing, Oriental Area Rug Cleaning. Do you need a reliable and professional carpet cleaning company to assist with your carpet, upholstery, tile or oriental rug cleaning needs? You are in the right Place! Rodriguez Cleaning Services is a well–qualified residential and commercial Carpet Cleaning company that provides a high quality services throughout Prospect Kentucky and surrounding areas. Our Carpet Cleaning Specialist Can handle any issues that you could have, they also specialize in pet odor decontamination. Rodriguez Cleaning Services is the preferred carpet cleaning company by your neighbors to help them when their dog or cat urinate their carpets. Let us help the same way , we help your neighbors. Contact Rodriguez Cleaning Services today for a Free Estimate! Rodriguez Cleaning Services is a professional Carpet Cleaning company that provides Cleaning services such as Professional Deep Carpet Cleaning, Fine Fabric and Upholstery Cleaning, Tile and Grout Cleaning and Oriental area Rug Cleaning as well as Carpet, Upholstery and area rug Protection ( Scotchgard ) and maintenance programs. Our certified Carpet Cleaning technicians will ensure that you receive the most thorough cleaning ever or it is Free ! Rodriguez Cleaning Services uniformed technician will offer you the best experience you ever received from a window cleaning company in Prospect, KY. Starting with the plastic booties that all the technicians will wear in your home. Our Cleaning process goes above and beyond of all your expectations. Your windows will be hand washing with a T applicators and squeegees. Every ladder that we use in your home will have rubber protectors on both ends of the ladder to protect your floor, wall and windows. As Part of our window cleaning services in Prospect, KY we also offer screens, windows sills, chandeliers, light fixture, ceiling fans and mirrors cleaning. Let Us take of you and you spend time with your family. Rodriguez Cleaning Services is a certified commercial Carpet Cleaning company in Prospect, KY that specializes in a wide range of commercial services. Our commercial technicians handle everything from commercial carpet cleaning and upholstery cleaning in the inside to commercial Window cleaning and pressure washing in the outside. Contact Rodriguez Cleaning Services and let us ensure that your commercial Building is receiving the highest maintenance service possible.